My daugher is heading off to a birthday party this afternoon, so I headed into my craft room to get creative. I love the new Birthday Cheer bundle – Birthday Cheer stamp set and Detailed Birthday Edgelits Dies. Hats, presents and as many cupcakes as you like! 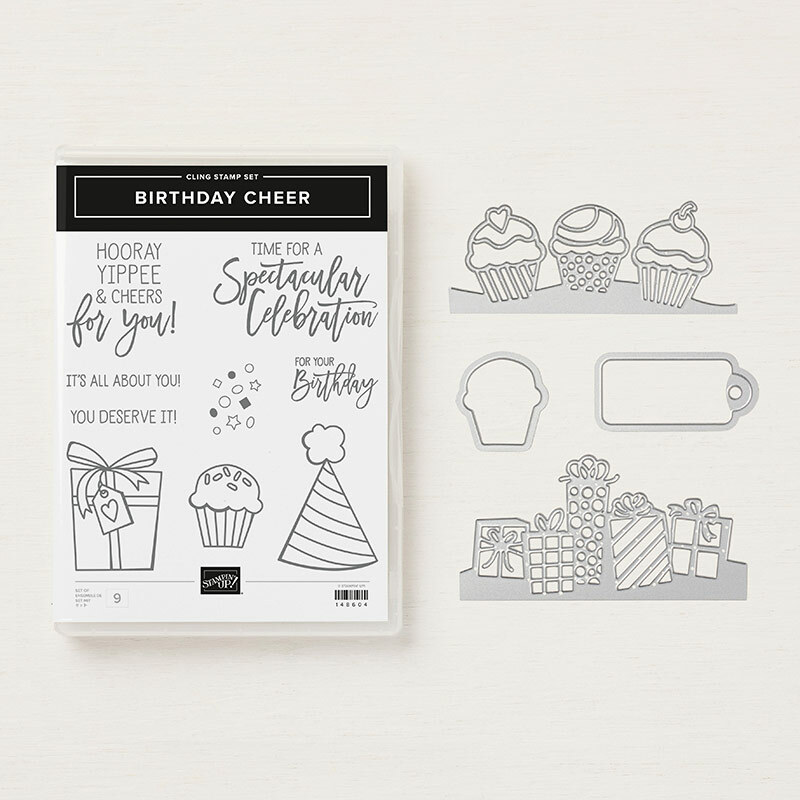 You can create spectacular birthday projects with this set. I got my inspiration for this card from the Occasions Catalogue. It’s a great go-to for project ideas. 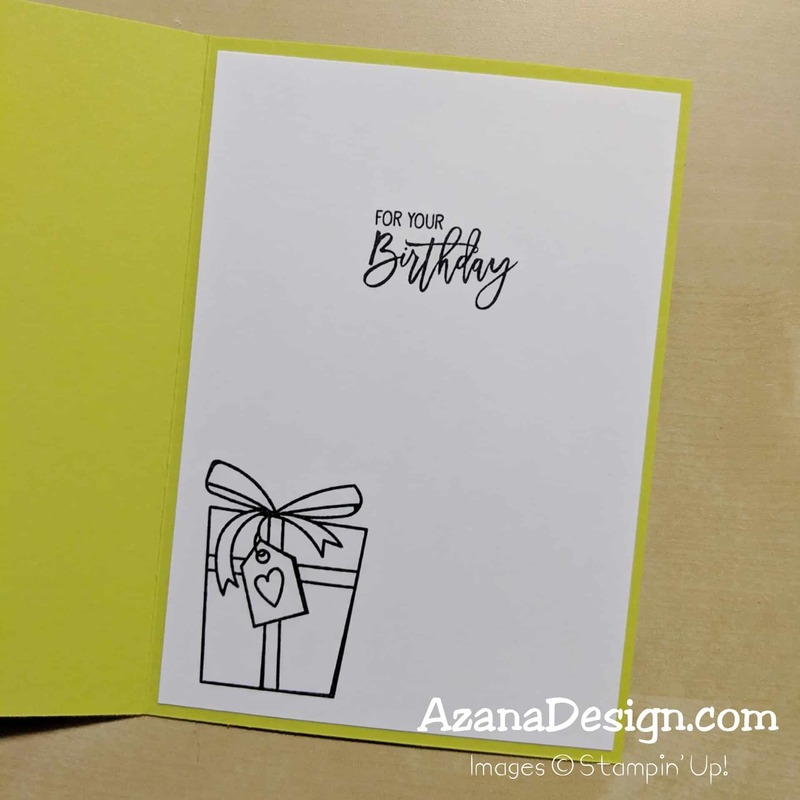 The card base is Lemon Lime Twist and the background cupcakes were inked in the same colour to create tone-on-tone background images. Lemon Lime Twist features in the new Gingham Gala DSP and adhesive backed sequins, which are great for adding some bling to your projects. And the Whisper White polka dot tulle ribbon add a bit of texture on top of the DSP. I used some glimmer paper as background to the cupcake and inlaid some Real Red cardstock as a heart topper to the cupcake. 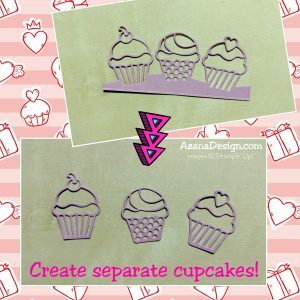 I’ve got some tips below about creating the separate cupcakes and how to do the background for them. 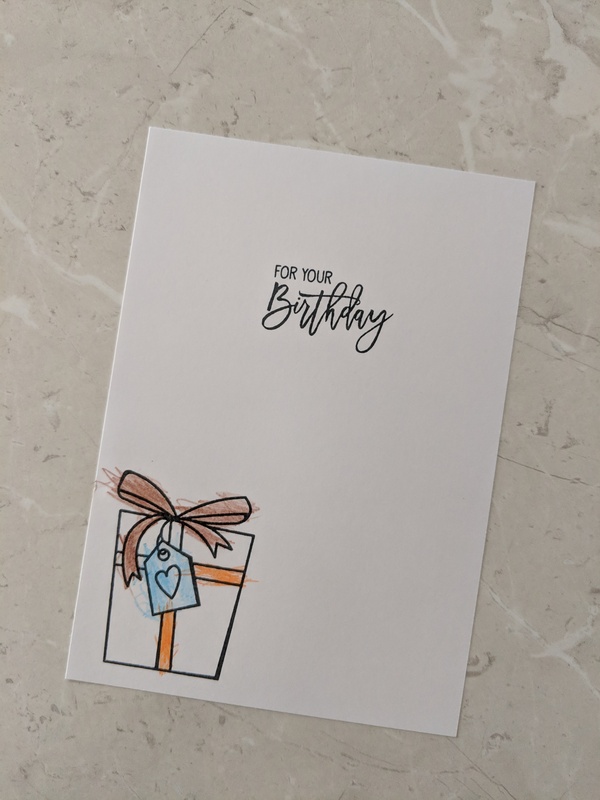 For the inside of the card, I kept it quite simple. There are three images in this stamp set, a present, cupcake and a party hat. 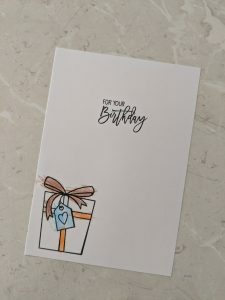 They are line images which are perfect for colouring in – and that’s what I got my daughter to do, colour in the present for the birthday girl. The Detailed Birthday Edgelits Dies contain two large edgelits dies and two framelits. One of the edgelits is three cupcakes in a row. You can cut down around the base of each cupcake to create three individual cupcakes. 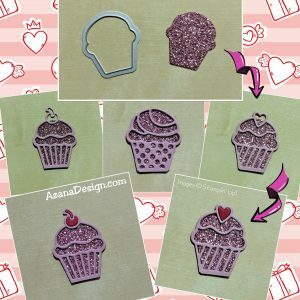 The cupcake framelit can be used to create a background for all three of the separated cupcakes from the edgelits die – as well as cutting out the stamped cupcake image from the coordinating stamp set. Two of the cupcakes have a little topper – a cherry or a heart. 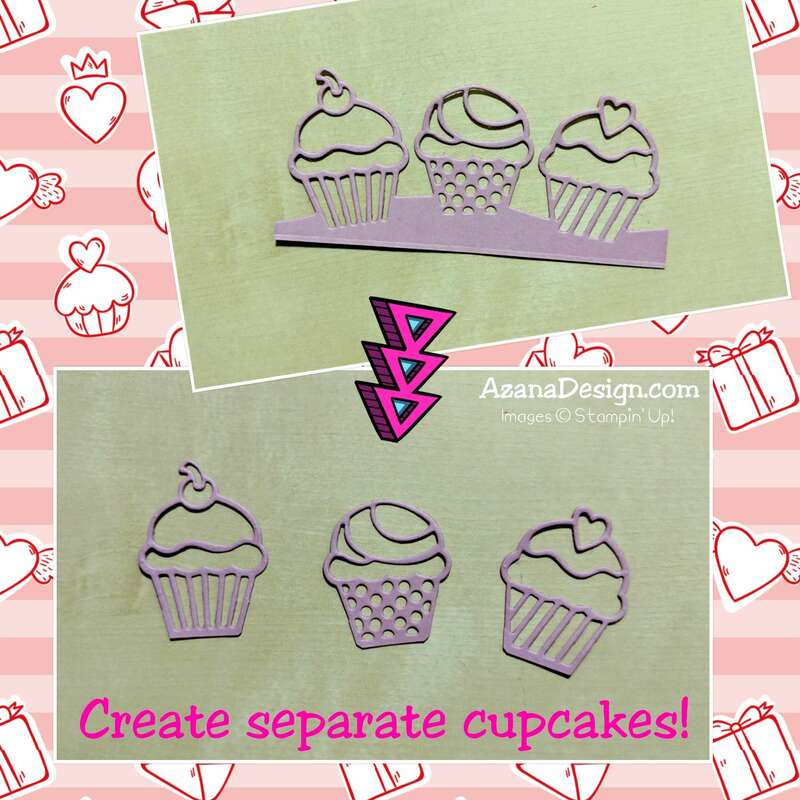 If you cut out the cherry or the heart in a contrasting cardstock colour, you can inlay them back into the cupcake, to hide the top of the background paper. My 3 yo coloured in the present for her friend. 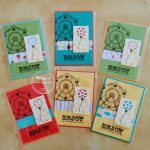 I am an Independent Stampin’ Up! Demonstrator from Brisbane, Australia. 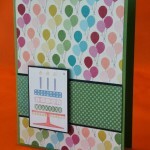 I’ve always loved all things craft and finally taken the leap into demonstrating the wonderful products Stampin’ Up! sell, which I’ve been using since 2010. 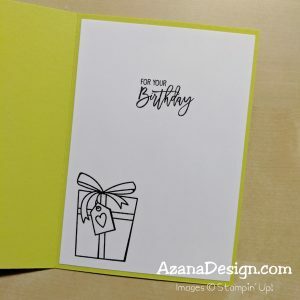 I will be posting my Stampin’ Up! projects here to inspire you. I also hold monthly card and paper craft workshops from my home in Eight Mile Plains, and sell product Australia wide. Hi and welcome to my website. 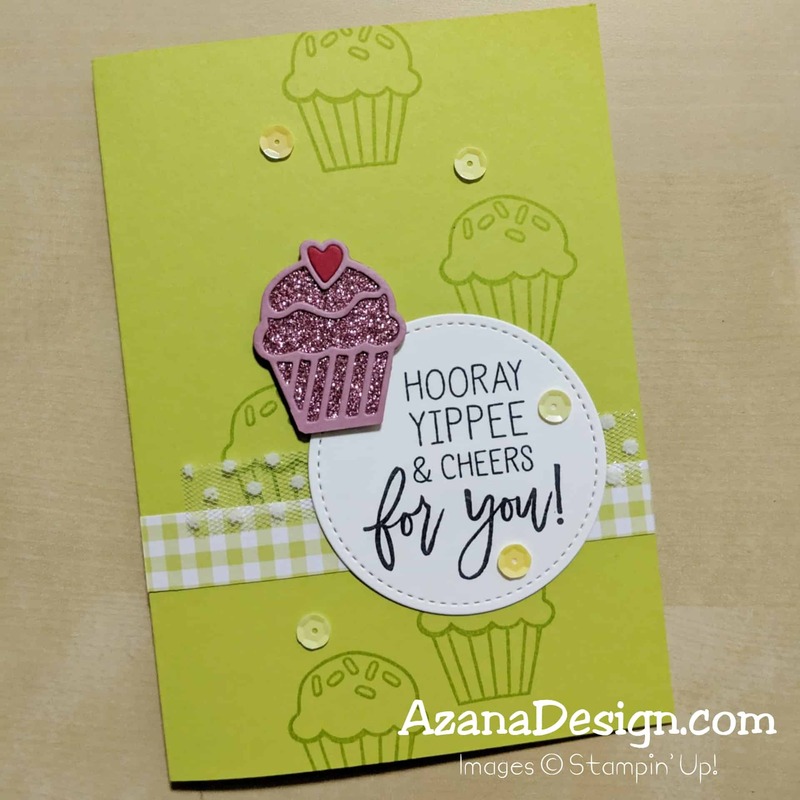 I am an Independent Stampin’ Up! Demonstrator from Brisbane, Australia. 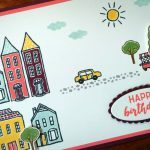 I’ve always loved all things craft and finally taken the leap into demonstrating the wonderful products Stampin’ Up! sell, which I’ve been using since 2010. 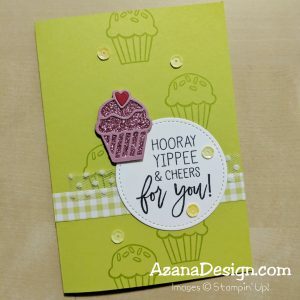 I will be posting my Stampin’ Up! projects here on my blog to inspire you. I also hold monthly card and paper craft workshops from my studio in Eight Mile Plains, Brisbane, Australia. If you would like to know more about my craft classes and spend an afternoon making new friends whilst enjoying Stampin’ Up!’s wonderful products then please get in touch, I can’t wait to meet you and share ideas.